A few simple ingredients is all that is standing between you and these hot honey wings! 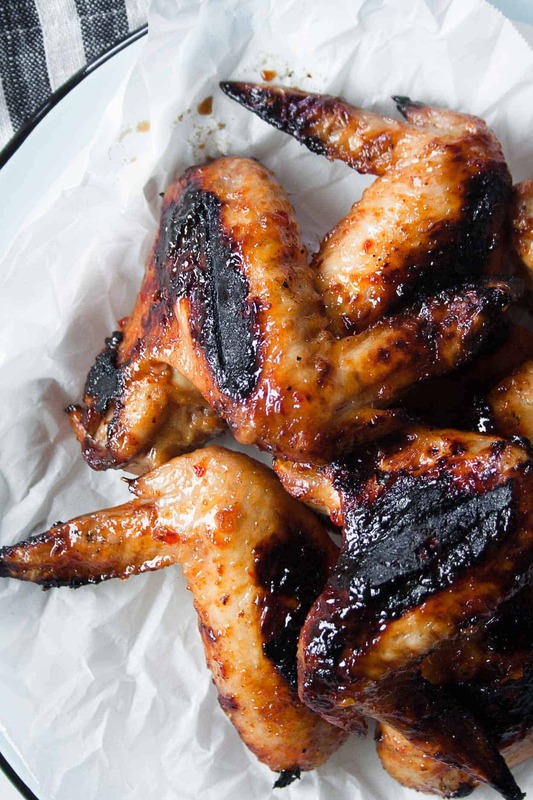 Grilled to perfection and coated in the perfect sticky sweet and spicy hot honey – nothing says summer like wings! 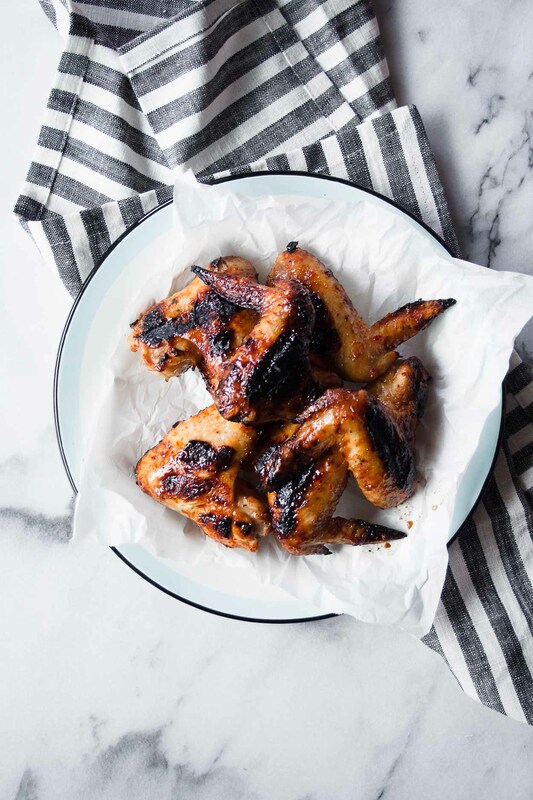 Grilled Sticky Hot Honey Wings AKA the way to a man’s heart. Or the way to Pat’s heart. Either way, it’s a win in my book. If there is one food that Pat could eat everyday for the rest of his life, it would be wings. 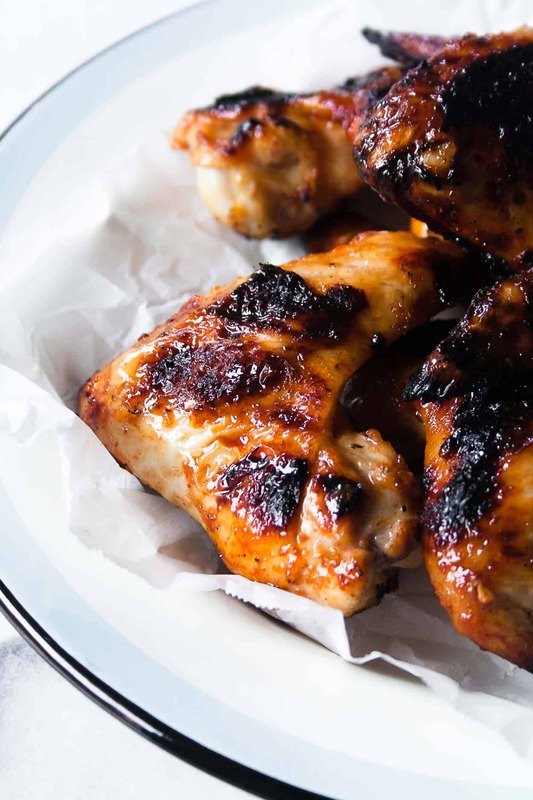 When we were dating in college, there was a little corner bar near campus that made the most epic chicken wings – they were super spicy, char grilled – and my mouth actually starts watering when I think about them. Till’s Tastes Sassy Brine – brining the meat helps the chicken stay juicy when cooked. As you have most likely noticed, meat tends to lose moisture when it is cooked, so brining the wings will help add extra moisture into the meat beforehand. And the salt in the seasoning blend helps to break down the proteins in the meat, keeping it extra tender. HOT HONEY. 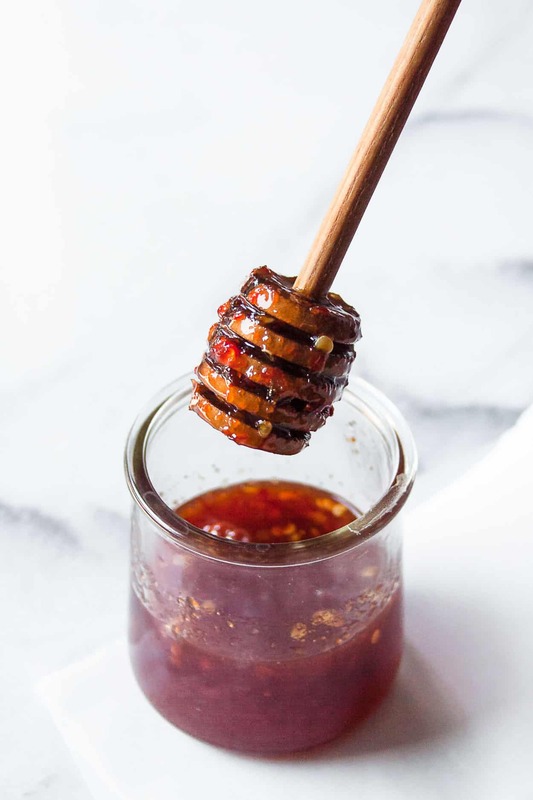 oh my gosh, have you had hot honey?? 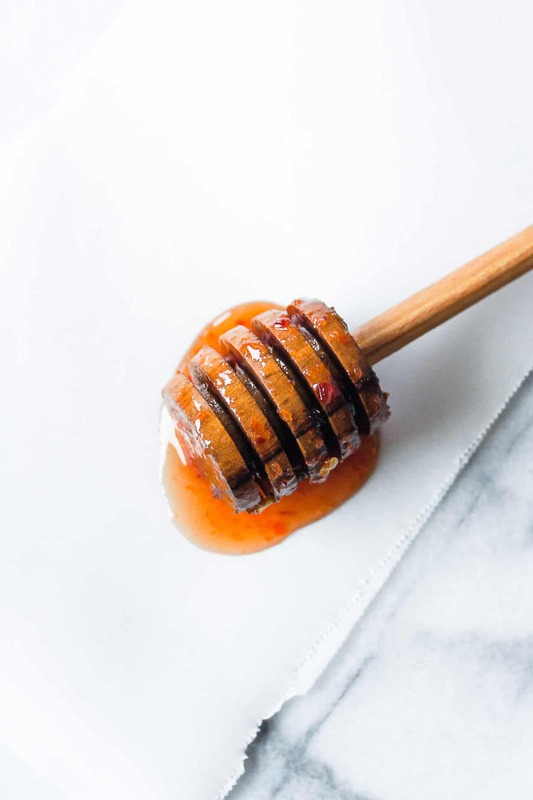 This sauce is a winner – it’s sticky and sweet but also hella spicy – so feel free to change up the ratio of honey to chili paste! Once the wings have soaked in the brine for a day, it’s time to grill! I used this method for grilling the perfect wings. Jess is my go-to trusted source for anything grilled, wings included! The key is to get the grill hot, like HOT hot. Then you cook on indirect until the chicken is cooked through and hit the wings with direct heat at the end for a little char. Make these Hot Honey Wings and post a picture on social media and use the hashtag #imhungrybynature for a chance to be featured! Brine the wings: Add wings to a large plastic bag. Sprinkle sassy seasoning over the top and add 4 cups water. Refrigerate overnight. 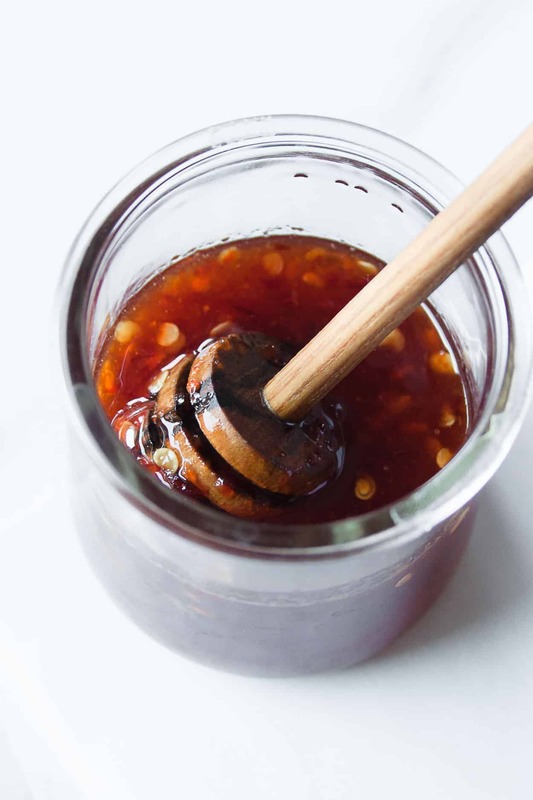 Make your hot honey: mix honey and chili sauce until thoroughly combined. Preheat grill to high heat (500 degrees F). Turn off half of the burners and place the wings over indirect heat (on the side where you just turned off the burners). Brush wings with two coats of hot honey and cook for 7 minutes. Flip wings (keeping them on indirect heat), brush with another two coats of hot honey, and grill for 7 more minutes. Move the wings over to direct heat, brush with half of the remaining hot honey, and grill for 2 minutes. Flip and repeat. YUM. Saving this recipe. Thank you! You are welcome Kim – I hope you enjoy it! !